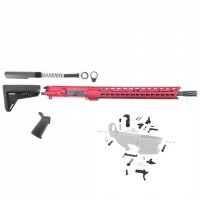 AR-74 5.45x39 is a perfect weapon that utilizes the power of the mini AK with a precision of AR-15 in one rifle. Moriarti Armaments is proud to present a vast line of tactical weapons chambered in 5.45x39MM. AKs of 5.56 NATO are precise, powerful, mil spec, and just amazing in look and feel. AR-74 5.45X39mm is based on AR-15 platform and will attach to virtually any mil-spec AR-15 lower. AR-74 5.45x39 16" fluted stainless steel tactical upper assembly, This drop-in 5.45x39 upper will attach to virtually any standard mil-spec AR-15 lower receiver. 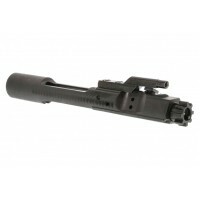 All you need is this upper and 5.45x39 BCG to go into a completely new caliber to take advantage of AR-74. Available in 416R&nbs..